Automakers would usually display a concept car at an auto show to gauge interest from the public or they just simply want to show off what they have created. After their display, some will end up in museums or in the hands of private collectors and some just ends up in oblivion. 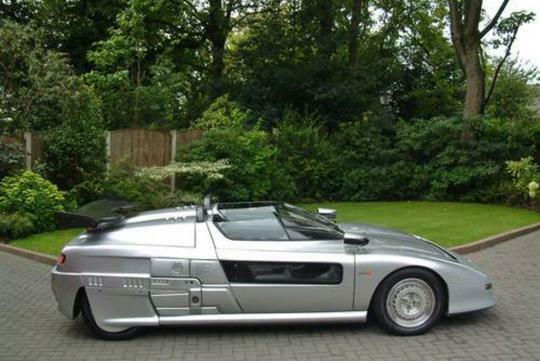 The futuristic car you see here ends up being built in limited numbers and this unit has been put up for sale. This concept car is known as the Aztec Barchetta. 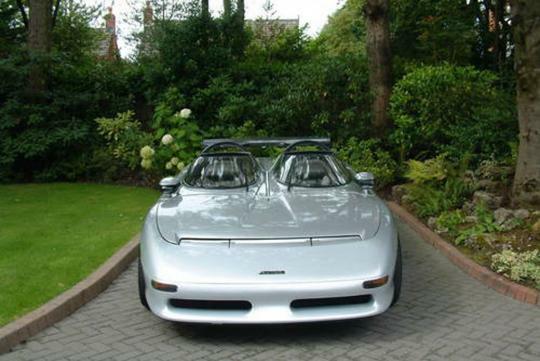 The Aztec Barchetta was designed by Italian design and engineering company, Italdesign Giugiaro. The company first showcased it in 1988 at the Turin Motor Show. The car features an intensely futuristic styling that is normally seen in science fiction shows. 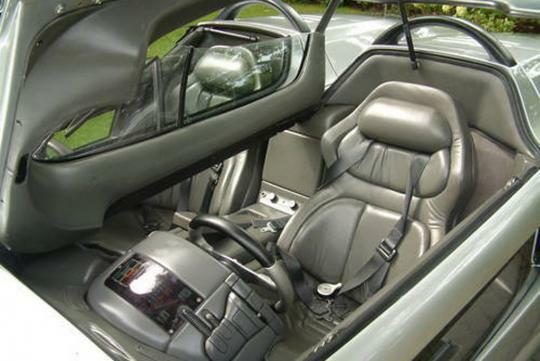 The cockpit-like seating area separates both the driver and passenger. An intercom system is fitted in the car so that both driver and passenger can communicate while the car is moving. 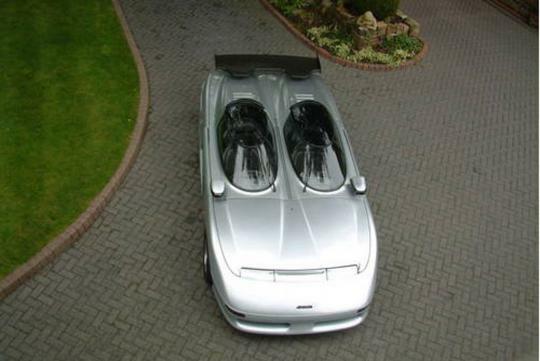 The Aztec Barchetta�s body is made out of aluminium, Kevlar and carbon fibre. 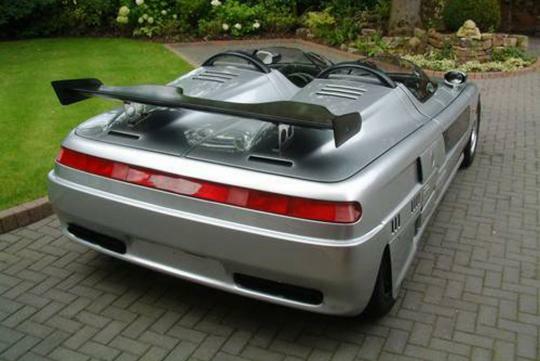 Although the body was designed in-house by Italdesign, many of the car�s mechanical parts are borrowed from other cars. 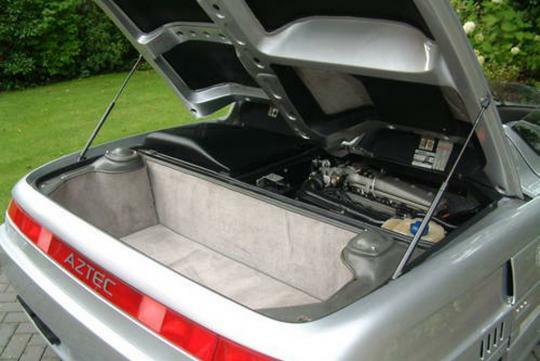 The engine is a 250bhp five cylinder turbocharged unit that was sourced from Audi Quattro. The engine is mated to a transmission that was taken from a four wheel drive Lancia Intergale. Due to the car�s wildly unique design, no auto manufacturer wants to mass produce it. Eventually, a Japanese industrial firm bought the rights to the Aztec Barchetta. The Japanese company instructed Motoren-Tecknik-Mayer (more famously known as MTM) to built the Aztec Barchetta. The first completed unit made demonstration laps at the 1992 Monaco Grand Prix and it was also displayed at an industrial exhibition. A new model at that time was priced at 500,000 Deustche Mark and this resulted in limited production numbers. The car that was put up for sale is a 1992 model and the sale is managed by a British company based in Manchester. The seller did not list any pricing information but I believe if anyone wants to buy this car, the price will be in the six digits.